Grow The Highest Quality Medical Marijuana Anywhere You Want! Micro Lab Farms is the fastest and most efficient way to launch or expand your operation. We provide a Plug & Grow solution that streamlines the start-up process and begins generating revenue in as little time as possible. The Micro Lab Farms system is designed and engineered for easy operation, allowing users of all backgrounds to immediately start growing. Receive Your Pod Today and Start Cultivating Tomorrow! You will have a clear view of your product from seed to harvest. You will know exactly what goes in and what comes out without all the surprises. 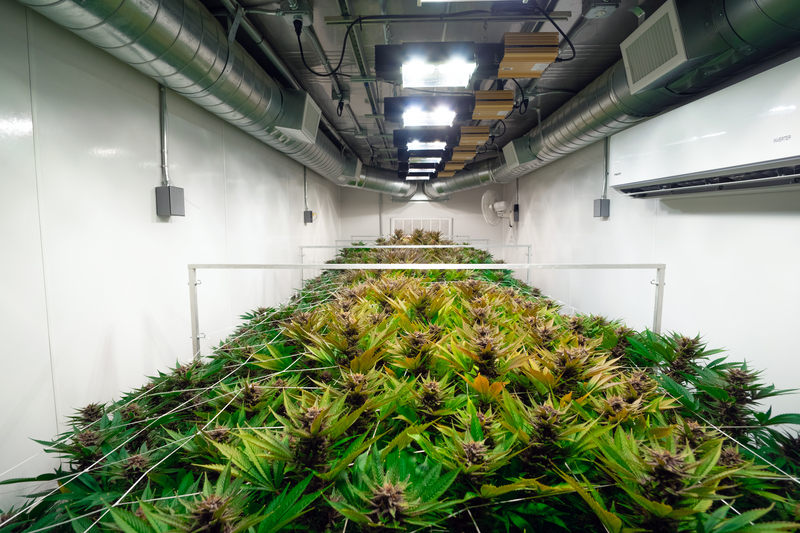 Growing inside the container allows you to maximizes space for food production and creates a highly efficient growing environment by stacking rows of your crops. The Micro Lab Farms remote app provides real-time data of all the key components of the farm: air, water, humidity, nutrients, and plant growth. There is no greater security for your crops than a locked steel container. If you ever have to move, your Micro Lab Farm can move with you. No matter where you are, the controlled environment of a Micro Lab Farm allows for year round growing. Why deal with all the headaches and delays that come with a conventional build-out. Install a Micro Lab Farm and focus on cultivation, not construction! With stackable Micro Lab Farms, you can easily increase production by adding profitable containers. Be cash flow positive out of the gates by utilizing our easy financing options. Taking advantage of low square footage is easy with Micro Lab Farms. If you have high ceilings or are outdoors, you can grow vertically and maximize the space you have with Micro Lab Farms. Utilizing the latest technology allows you to keep your Micro Lab Farm at the optimal growing environment. Maximize your profits by ensuring a perfect growing environment through automation.